Aw, but it's so cute! 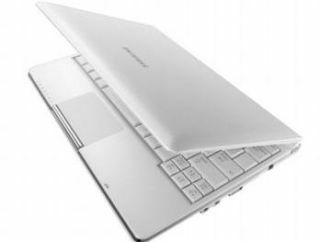 A stray email purporting to be from Samsung suggests that the company may be putting an end to its production of netbooks next year. The email specifically namechecks 10.1-inch devices, saying that the range will be replaced by ultraportables and 'Ultrabooks', the PC equivalent to the MacBook Air. The email, sent to the company's trade partner, reads: "Following the introduction of our new strategy in Q1 2012, we stop the product range in 10.1" (Netbook) in Q1 2012 for the benefit of Ultraportables products (11.6 and 12-inches) and ultrabooks to be launched in 2012." It's been a tough time for netbooks; first tablets came along and usurped them, then Acer thought about ditching them (although it claims it is not) and now this. But it's no surprise that the Intel-inspired Ultrabook segment could be the nail in the netbook's coffin; intended to be sleek where the netbook is chunky and powerful where the netbook is basic and affordable – well okay, we'll concede that Ultrabooks aren't quite as affordable as netbooks. We could argue that a low-cost ultraportable basically is a netbook but, if legit, Samsung's email does seem to spell the end of the 10.1-inch netbook.